Product code: 710 Categories: Sold Items, Sold Rings. This is unlike any Mizpah ring that we have ever had. 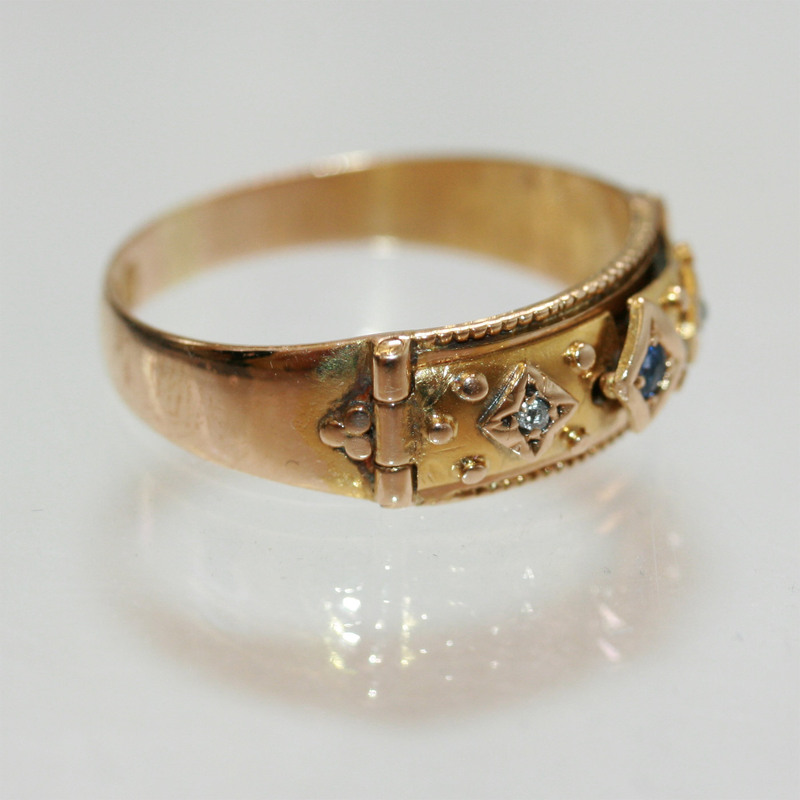 Made in 18ct gold in Birmingham 1903, this amazing Edwardian era Mizpah ring is firstly set with a sapphire and 2 diamonds on a hinge that open to reveal the word “Mizpah“. This ring is perfect in all respects and is just sensational to see. 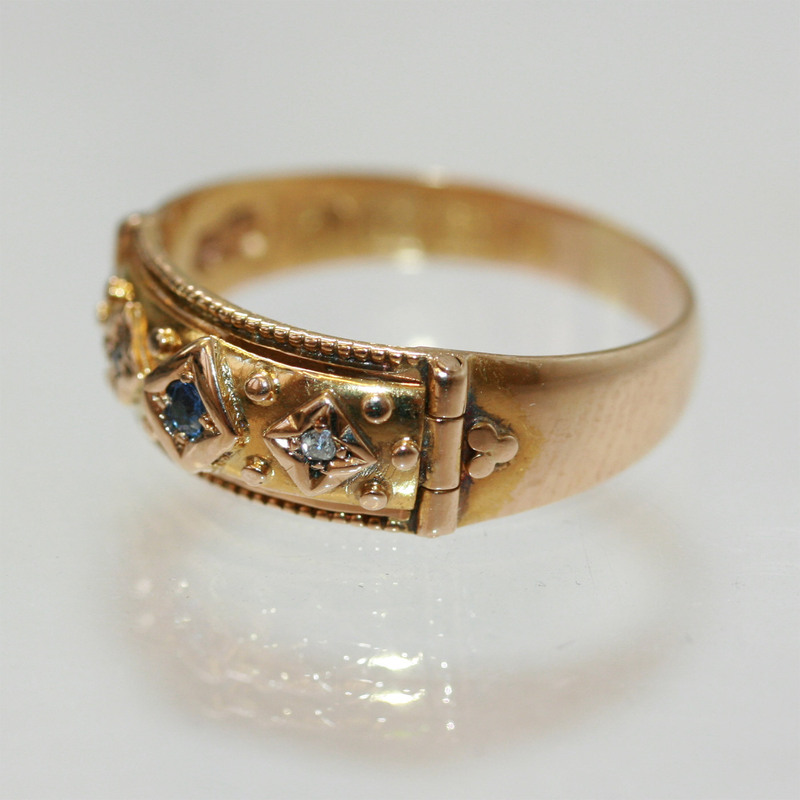 If you are a collector of Mizpah jewellery, or after something sensational and very hard to replace, the this Edwardian ring may just be the one. Click here for the history of Mizpah and Mizpah jewellery.